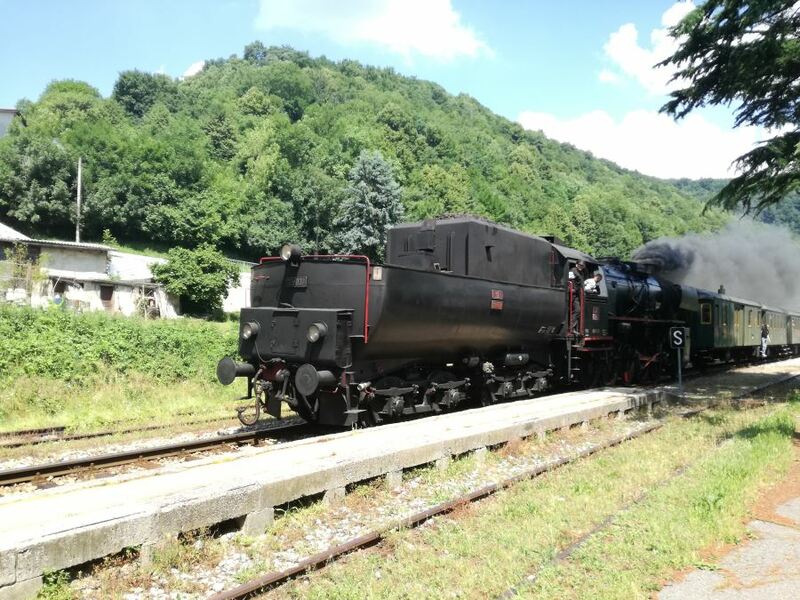 Soca valley railway experience is unique experience in Slovenia that connects Julian Alps and Adriatic Sea. This three-hour-long train ride on the 89-kilometers section of the line from Gorenjska region (Jesenice) to Primorska region (Nova Gorica) is a spectacular adventure of Slovenia’s upland highlights, numerous gorges, bridges and tunnels so as picturesque mountain villages along the Soca River. There are 6-7 regional trains and 4-5 car trains per day which run year-round. The Bohinj Railway system (Bohinjska proga or Transalpina or Wocheiner Bahn) was built between 1902 and 1906 in order to complete the railway system that linked Vienna and Central Europe with Trieste (as the most important port in Austro-Hungarian Empire) and Adriatic regions. The construction of Bohinjska proga, one of the last majestic projects of the Austro-Hungarian Empire, was and still is a technological masterpiece due to geological difficulties where over 62 bridges and 43 tunnels were built. Over 14,000 workers built it. During the time of Austro-Hungarian Empire, it was golden era of the Bohinj railways system, people could sip a coffee in Trieste in the morning and have a pint of a beer in Villach in the late afternoon. Traffic on Sundays was particularly high. Craftsmen and tourists filled the previously remote valleys. The excitement over the Bohinj Railway system surpassed all expectations. The successful story of the Bohinj Railway system was brutally ended in WW1 and WW2. In the mid-80s a heritage train started to operate on the Bohinj Railway system which expanded the tourist offer in Gorenjska and Primorska region. And it still operates. Check their offer here. Take a scenic train ride and observe picturesque countryside. 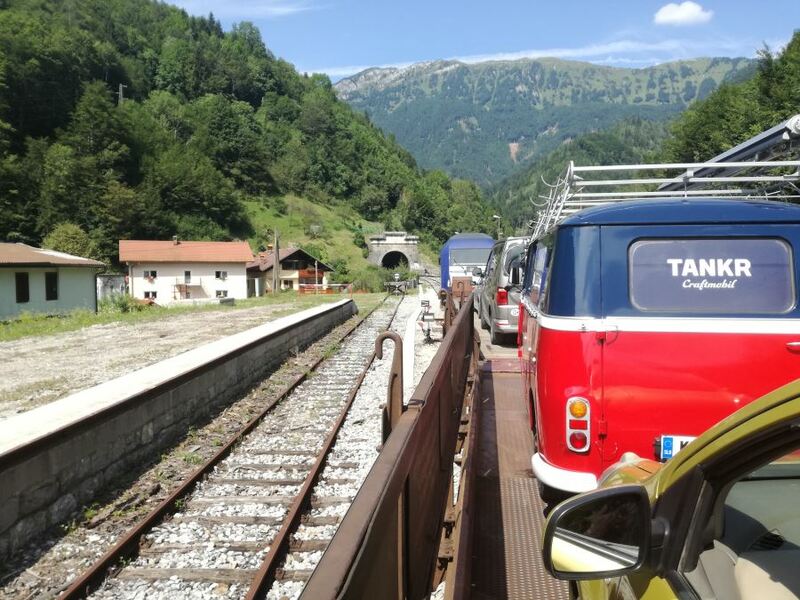 Regardless if you have a car or if you travel by public transport, you can start your iconic Soca valley train journey already in Bled or Bohinjska Bistrica. In order to save a long detour over Bohinj mountains (those who are traveling by car!) 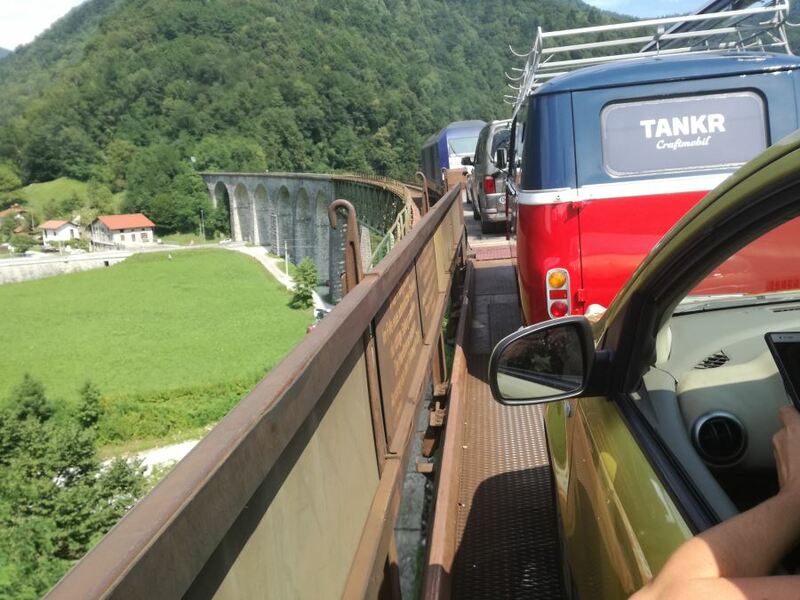 take a car train/motorail from Bohinjska Bistrica to Most na Soči from where you can explore Soca valley and the Julian Alps. Check the timetable for a car train here. 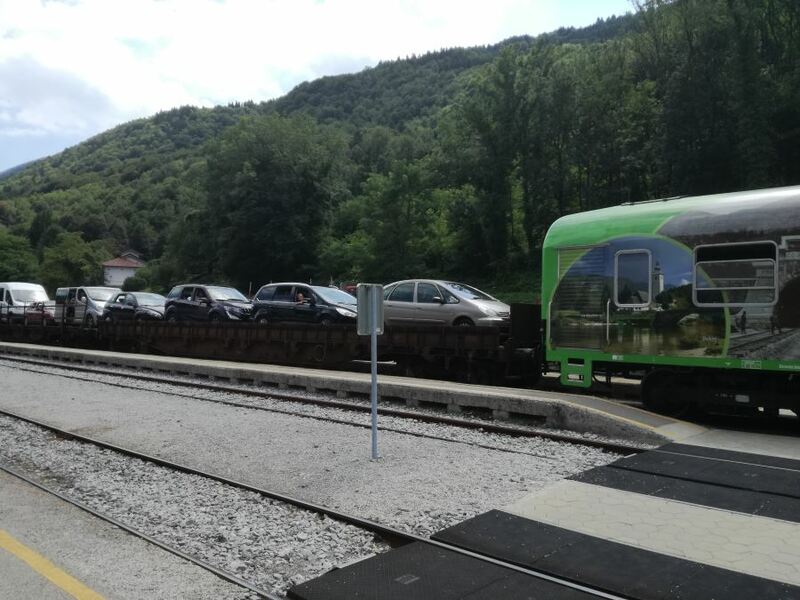 Keep in mind that there are only 30 places on a car train so come earlier to get a place on a motorail. Get amazed by 6339 meter-long Bohinj tunnel (it takes 10 minutes to see the light again ;)) which is one of the major attractions on your way from Gorenjska to Primorska region. By car you can discover Soca valley easy and at your pace. Need a place to sleep? Check available dates at Herbal Rooms Homestay. 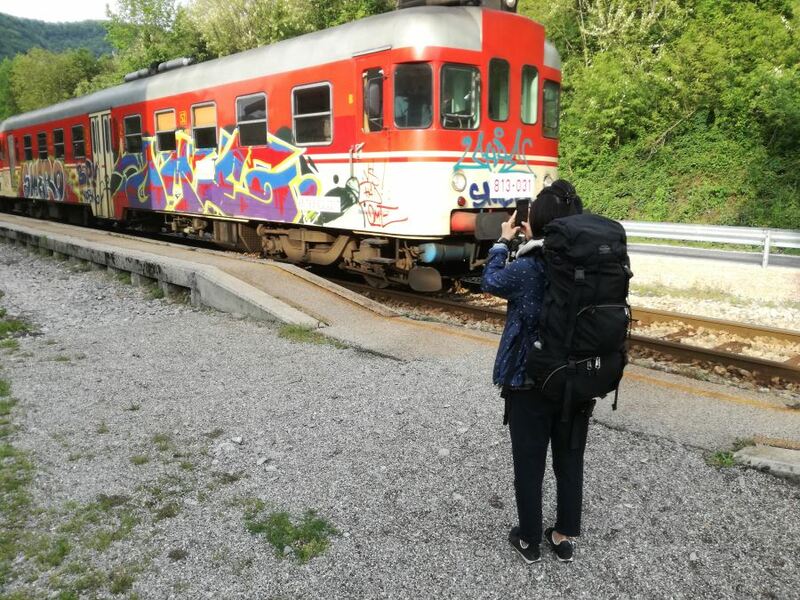 I know that there is quite a bunch of people who prefer trains, buses, carpool, hitchhiking, etc., so Soca valley Railway station to station experience can be a highlight in your itinerary. You don’t believe me? 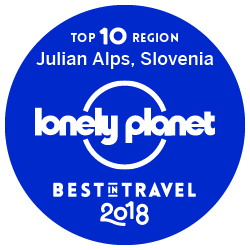 Read what Lonely Planet wrote about Nova Gorica to Jesenice train travel here. Start in Bled or Bohinjska Bistrica, get off in Most na Soči. 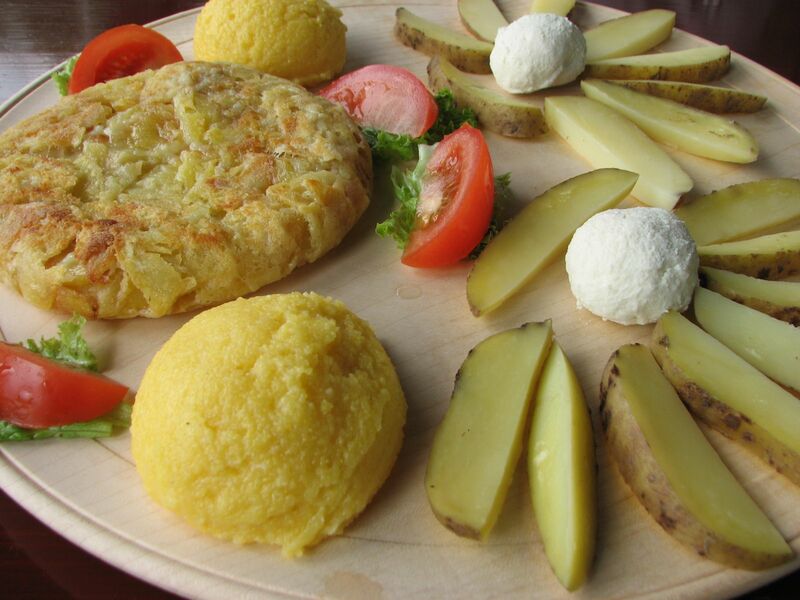 Most na Soči can be your first stop in Soca valley. Take a photo or two of the railway bridge on Most na Soči which with its 258 meters is the longest bridge on the Bohinj railway system. From Most na Soči you can take a bus and explore Upper Soca valley (Tolmin – hot spot for festivals, Kobarid – foodies paradise, Bovec – outdoor Mecca). If you want to deepen your knowledge about Soca valley, you can always contact me. It would be my pleasure to be your local guide! From Most na Soči you can take a train and get off in Plave. Plave can be your second stop in Soca valley. Why Plave, a small village in Soca valley? Firstly, you can recharge your batteries and get some nights of beauty sleep at Herbal Rooms Homestay, swiming in Kanal and exploring Brda wine region. Plave is the closest possible spot to visit picturesque Brda wine region. Make reservation well in advance if you want to visit winemakers in Brda wine region here. From Plave you can take a train and get off in Nova Gorica, the Slovenia youngest town. If you get off one station earlier in Solkan, you can admire Solkan bridge above the Soča River which is the largest stone-arch railway bridge (at 85m) in the world. So a photo or two is needed to prove it to your friends when you come back home. 😉 Nova Gorica is a perfect starting point for exploring Vipava valley and its wines, local food and villages. If your Slovenia train journey is already at the end, you can take a bus from Nova Gorica (Slovenia) to Gorizia centrale (Italy) train station. 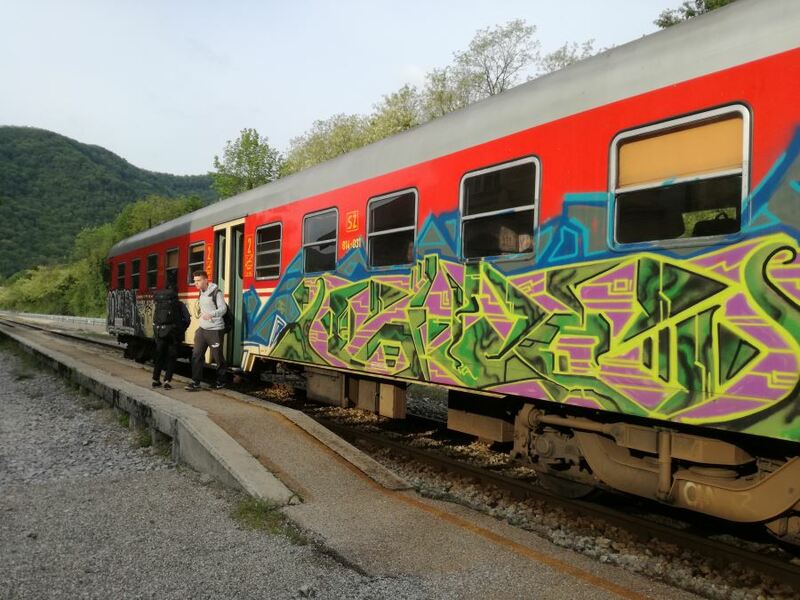 For those who prefer traveling by train to the Slovenian coast (Koper, Izola, Piran), I would suggest you to stop in Štanjel and walk around the village and take the next train to Koper. Soca valley railway experience is definitely one of the most iconic journeys in Slovenia every true rail enthusiast should take part in it.